Bind Mount – which is either an absolute or relative path of a local file system. 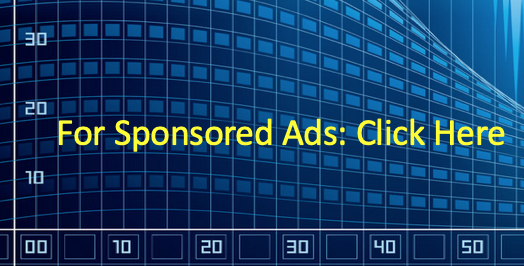 The path is known to the local host applications and can be modified by scripts and applications with the right access. 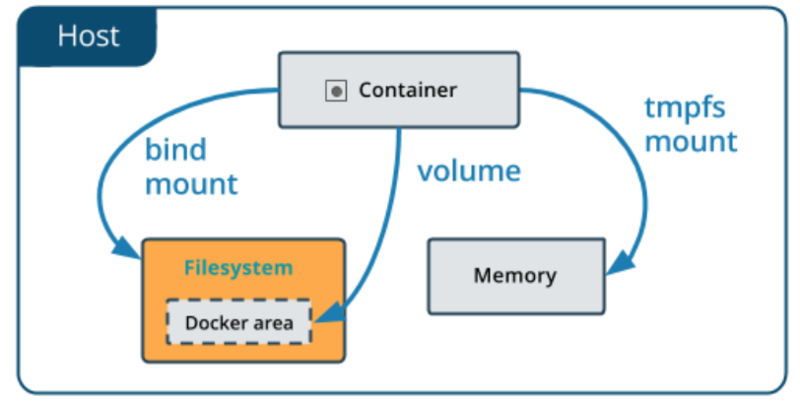 Volumes – This is usually a new and separate directory created and managed by Docker. The “volume” which is a directory in the local file system, should not be modified by other applications in the host. There are specific Docker commands to create and delete the volumes. This is usually the preferred method for persistent storage for Docker containers. tmpfs mount – is a host-only in-memory storage location. The data in the tmpfs mount is processed in the memory space and never written to disk. Storage in Kubernetes has a larger scope because it has to support many pods and containers in the cluster. Therefore, there are many volume types in Kubernetes. The table below are all the types of volumes supported by Kubernetes. All of them are ‘in-tree volume plug-ins‘, which mean that they are linked, build, compiled and shipped with core Kubernetes binaries, except for two volume types. As of Kubernetes version 1.8 (current version is 1.14), there is no further development of in-tree volume plug-ins, in favour of 3rd party volume plug-ins from various storage providers. The two obvious volume types from the table, in red, are the ‘out-of-tree volume plug-ins‘ – FlexVolume (flexvolume) and Container Storage Interface (csi). 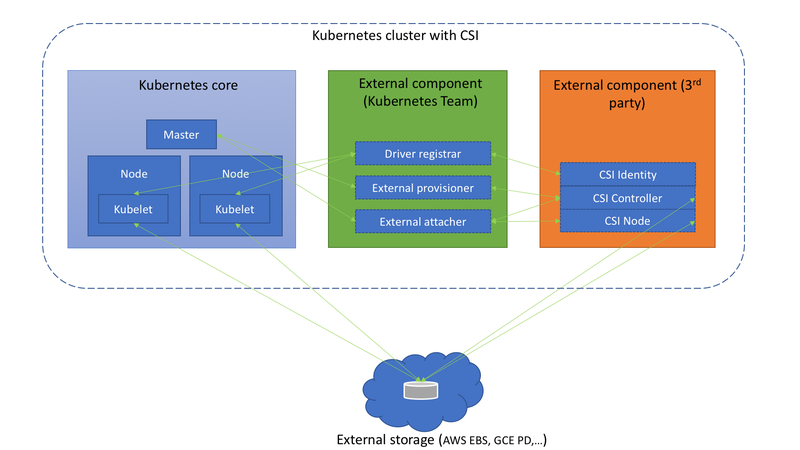 Even though both FlexVolume and CSI can co-exist, there has been a concerted effort to standardize CSI as the storage framework for Kubernetes and other CO engines for the present and future, because there are known limitations with FlexVolume. 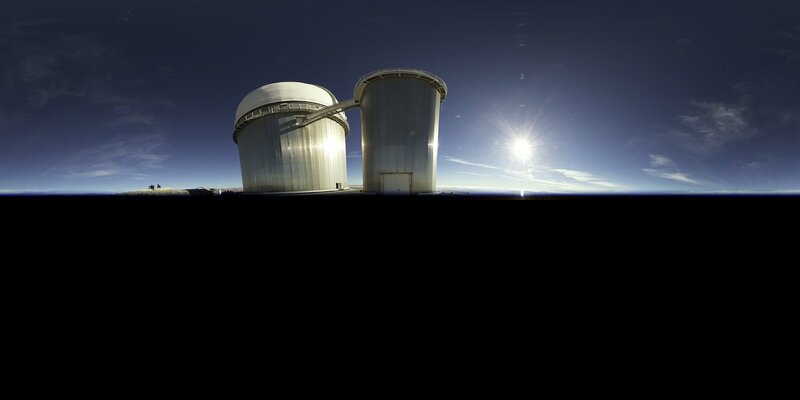 CSI aims to be the unifying factor to marry both the CO engines and the storage providers. Diving deeper, within the Kubernetes cluster, there exist auxiliary containers alongside the main containers of the pod. these auxiliary containers are called sidecar containers, and they function to extend and enhance the functions of the main containers. As of Kubernetes 1.13, these are the key sidecar containers (below), and more are being added at this present moment. 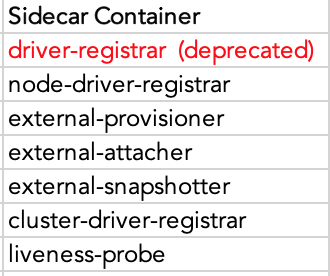 I will not get into the details of each of the sidecar containers and its functions as well as the sub-functions of the 3rd party storage vendor’s implementation. I am still learning more about each respective one but there is a great article written, carrying a wealth of details of each one of them. We are seeing more sidecar containers added in each version of Kubernetes and these storage implementations will continue to change at a rapid pace. At Google Next 2019 just last week, Google announced Anthos, their hybrid and multi-cloud platform. At the heart of Anthos is Google Kubernetes Engine (GKE). The extension of GKE into on-premises as part of its hybrid cloud strategy is GKE-on-prem (GKEOP). At this present moment GKEOP runs as a virtual appliance on VMware vSphere 6.5. This means that instead of considering CSI, the default storage class for GKEOP is vsphereVolume. As part of the GKEOP announcement, Google introduced an advanced data management “middleware”, a storage API powered by Robin Systems Storage. 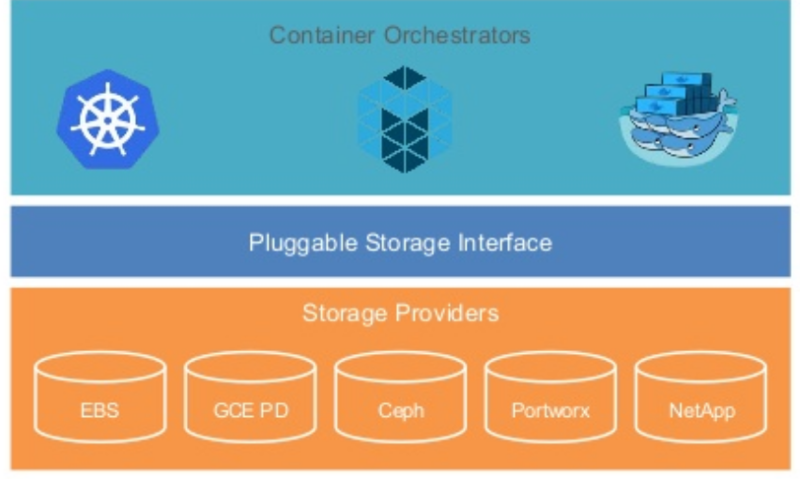 The Robin Storage works with vSphere, aggregates all registered storage and builds a layer of persistent storage enterprise applications running on GKEOP containers. The Robin Storage provides automated provisioning, point-in-time snapshots, backup and recovery, application cloning, QoS guarantee, and multi-cloud migration for stateful applications on Kubernetes. I am not impressed. Storage management seems to be like an anchor weighing on Kubernetes and the containers with it. The ground that Kubernetes wants to build storage on keeps shifting from one to another, from FlexVolume to CSI and now with Robin Systems Storage in GKEOP. Enterprise applications wants a stateful and persistent storage that should also be consistent in its design and implementation and but I am not getting that vibe. I am still learning the pieces of the storage frameworks tied to Kubernetes and Google’s march with GKEOP. Maybe I am getting all these things wrong, but I would wish things will get clearer and more ‘standardized’ for Kubernetes storage frameworks. Tagged Anthos, CAP Theorem, container orchestration, Container Storage Interface, distributed storage, Flexvolume, Google Cloud Platform, Hybrid Cloud, persistent storage, sidecar, stateful applications, storage framework, storage management. Bookmark the permalink.